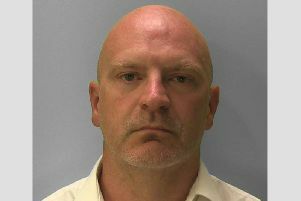 Two men have been charged with breaking into an Eastbourne florist and stealing cash and chocolates. Sussex Police they received reports of a break-in at Ann’s Flowers, in Framfield Way, just before 2am on Saturday April 14. Officers said they were on the scene within three minutes and detained two suspects nearby. Walter Alan Tame, 29, of Walton Close, Eastbourne, and Luke James Gough, 27, of no fixed address, both unemployed, were each charged with burglary to steal cash and chocolates from the shop, say police. Officers said they were also charged with the theft of numerous bottles of alcohol worth £195 belonging to Tesco in Lottbridge Drove, Eastbourne, and going equipped for theft. Both appeared before Brighton magistrates on April 16 and denied the charges, so both were remanded on conditional bail to await trial at Hastings Magistrates’ Court on Monday on June 11, said police.